Quality assurance at CSU is a process that is undertaken on subject outlines and on examinations and tests, among other things. The brief overview on this page seeks to define aspects of quality in each of these two main areas. More comprehensive information is available from Subject Outlines Help. “demonstration or verification of a desired level of quality of an academic activity”. Examinations and Tests are quality assured through the Division of Student Administration in the Exam Management System. Click the headings below for further information on Quality Assurance of Subject Outlines and Examinations and Tests. Subject Outlines must comply with Academic Senate Regulations including the Subject Outline Policy. The Subject Outline tool has a quality control (QC) function to assist compliance with policy and ensure complete and valid content. It also has a quality assurance (QA) work flow and functions to support production of high quality Outlines. Click here for detailed help on the Subject Outline Tool. Consideration needs to be given to the source of material being placed in your Subject Outline. For further information on what you can include look in the Subject Outline Help. This Subject Outlines Checklist is to help ensure you create quality and assure quality in subject outlines. You can use this checklist as you prepare your subject outline or as you quality assure an outline to ensure that you have included all the correct information with appropriate quality. What do we look for in Quality Assessment in the Subject Outline? Assessment is a central part of student learning. What we ask students to produce and how we communicate it is key to student understanding of the requirements to pass a subject. Submission method/s must be selected for each Assessment and Exam Item. Of course, physical submission of an item does not always apply. Thus an ‘N/A – submission not required/applicable’ is available on both Assessment and Exam Items. Interact2 activity types can also be selected on Assessment Items – but not Exam Items. Use a descriptive title that is a unique identifier so that students are clear from the beginning what the end product of their task will be. If you use the term Assessment 1 but the item number is 2 it can be confusing, so it's best to avoid these nondescript titles. When giving your assessment a title, think about how it will look in the summary table. Use familiar terms. For instance, if the task requires short answer responses, call it this; if it requires a blog post or discussion forum, then name the task to correspond with the format. This helps students to become familiar with university language and expectations, and they can access support on the different assessment types by searching for the appropriate term. Look for more examples in the Subject Outline Help. Provide the length requirement for the assessment item or state if the length of the assessment is not applicable, such as for laboratory reports. Length of an assessment task is very important. It provides an indication of the depth of response required. Ensure that this is the overall word length of the assessment item and make some comment about whether you see this as a maximum, minimum or target for this assessment. Indicate whether this length includes the reference list as well. Also include word length for separate parts if appropriate. Look for more help in the Subject Outline Help. This is a critical part of the Subject Outline, where you explain what is required of the student. You should aim to have all the details in the Subject Outline because it is important for students to be able to make decisions on their ability to complete the tasks in the subject when they first enrol. Using clear, concise language and correct terminology helps student understanding about what they have to produce to meet the task requirements. Look at the Subject Outline Help for details on what should be in a task. For first year subjects in particular, it is useful to provide scaffolding as to what you require. This may take the form of headings, with explanations of each section. Provide any relevant supporting materials students may need to complete this task. There are many resources available at http://student.csu.edu.au/study. Compliance checking will ensure that all subject learning outcomes are covered by the assessment tasks in the subject outline, but those doing quality assurance should check that the learning outcomes listed for each assessment task are actually covered by the task and that the appropriate stem has been chosen in the Subject Outline Tool. While an assessment task can meet or work towards meeting more than one subject learning outcome, it must meet at least one. Those doing quality assurance should check the alignment of the linked subject learning outcome/s for each subject task. The rationale for each assessment task is clearly linked to the learning outcomes being assessed and is an opportunity to better explain to students the skills and knowledge that are being assessed and how they are being applied in a professional context. Criteria identify what the assessment is assessing and what students will be graded on. Aligning criteria to the learning outcomes allows students to clearly see how they are meeting the learning outcomes. The pass level standard is the lowest level of achievement possible for a student to pass the subject so must meet the requirements of the subject learning outcomes. If the learning outcomes asks for a description, then the pass level standard should at a minimum ask for a description, if it asks for analysis, the pass level standard must not accept anything less than analysis. Is it clear to students what their performance will be assessed against? 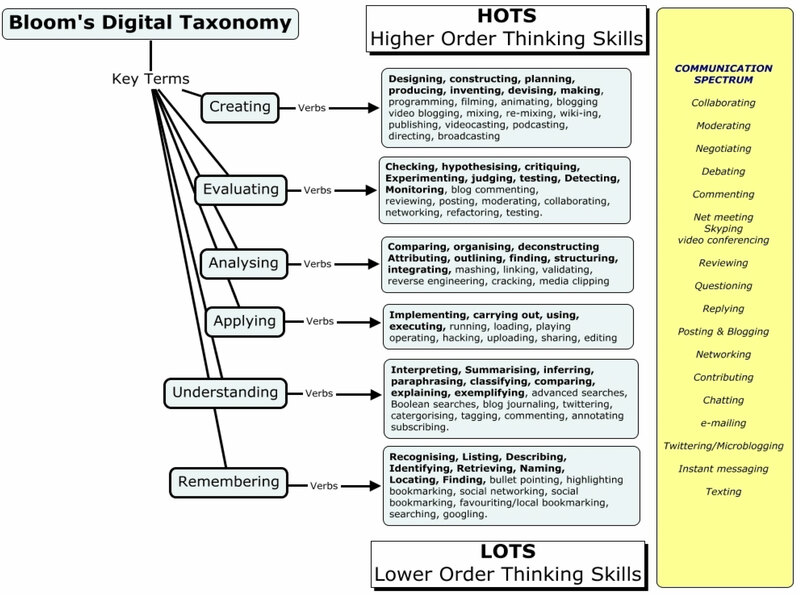 The standards should describe clearly the level of achievement and preferably use a taxonomic base such as Bloom’s or SOLO taxonomy. Are marking criteria and standards, including descriptions of the levels of performance required to achieve each passing grade, provided for EVERY assessment task? Are the marking criteria and performance standards explicit and easy to understand, measurable and able to be applied consistently by both markers and students? If students are to understand the standard you require them to reach to pass the subject or achieve higher grades, the criteria and standards must be explicit and easy to understand. This is not intended to limit what students can do but rather to provide a base level of achievement. Does each assessment item clearly state the referencing requirements for the task (where relevant), and is this reflected in the marking criteria? If we expect students to reference then we should clearly state what referencing is required and ensure that it is also in the marking criteria. This then is followed by teaching the practices we expect students to follow. Are there any issues in the Subject Outline that should be fixed before the subject is offered again in another session or fixed before the session to be delivered now? If there are minor issues which will not impact on student achievement in the upcoming session then they may be a long term goal to repair before delivering the subject again but if something in the subject outline impacts on students achievement it is advisable to fix it prior to delivery. Is the tone of the communication with students in the Subject Outline appropriate? That is, not too formal, no excessive use of jargon and written in plain English. Further information can be found in the Subject Outline Help. Quality Assurance of exam script aims to assure KPI10 (Quality assured examination script submitted to Division of Student Administration). What do we look for in Quality Assessment of exam scripts? Are questions aligned with the subject learning outcomes? Are the standards appropriate and do the questions provide students with opportunity to demonstrate their knowledge as required by the learning outcome? Are the number of questions per learning outcome equal or weighted to the importance of each learning outcome? Validity of exam scripts should enable measurement of the achievements of skills intended to the achieved by the learning outcome. For example: if depth of knowledge is required to be assessed, then we need to design long answer/essay type questions with adequate direction. Reliability of exam script allows consistency in marking and to differentiate between the levels of the performance. Is there a mix of question types asked in the exam? For example: multiple choice, short answer, essay type questions to be inclusive for diverse learners and to minimise weaknesses connected with one kind of assessment. Are questions independent of other questions? For example: one question does not depend on answers from the previous items and/or hints to answer a particular question are not included in other questions. Does the question contain enough direction to the students to answer adequately and do the questions focus on important concepts rather than obscure, trivial facts or trick questions? Are the active verbs clear and appropriate to assess the skills level as required by the learning outcome? Is the language used clear and easily understandable, including for students coming from non-English speaking background? Is the question layout easy to follow? Do long-answer/essay questions lead to answers that give opportunities for students to demonstrate distinction level of skills and knowledge? Have data or information been included in questions to reduce the emphasis on memory and increase the emphasis on critical thinking? Are some questions in MCQ aimed at higher level learning? Have the general rules for multiple choice question and essay questions been considered during development of the exam script? Click for more information on some general rules. What should a QA officer look for in the exam script to ensure quality? Exam questions are aligned to the subject learning outcomes identified in the rationale for the assessment? Does the skill level match? What is communicated in the Subject Outline is in the exam? DSA checklist has been followed?